The Reiki & Medicine Intensive is the most in-depth training I offer, one I continually update to keep you current with what’s happening in conventional medicine and the powerful difference Reiki practice can make in health care — yours and your clients’! I usually offer the intensive in New York City, but this summer you have a special opportunity to participate in the Chicago area and avoid the expense of traveling to NYC. This three-day immersion in academic learning and Reiki practice helps you integrate Reiki practice into conventional health care — your personal health care and the healthcare industry. Understanding the difference your personal Reiki practice makes to your health in practical, medical terms is the first step to strengthening your health and improving your health care. If you are a Reiki professional, that helps you grow your practice so you can help more people. 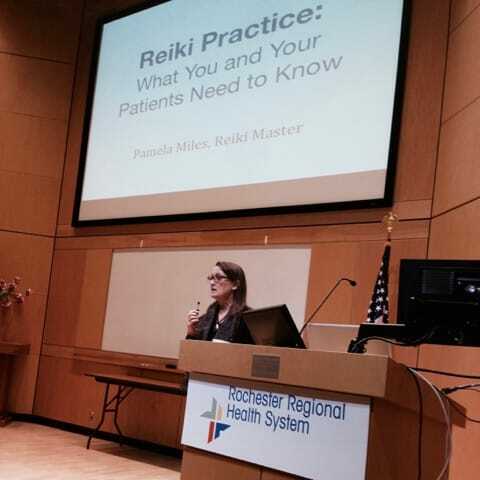 Knowing how to present Reiki in a spiritual and medical context will open doors to medical collaboration and help evolve the current market-driven healthcare industry to include Reiki practice in mainstream health care. The intensive is appropriate for all Reiki students and practitioners who are interested in improving their health and their ability to make sense of Reiki practice to others — your skeptical family members or your doctors. Lay practitioners, students, doctors, nurses, and other healthcare professionals have found this class immediately improved their confidence and brought their practice to greater depth, clarity, and professionalism. Whether you are a Reiki professional or you practice Reiki at home only for yourself, family, friends and pets, your Reiki practice and your healthcare choices will be greatly enhanced by the intensive. 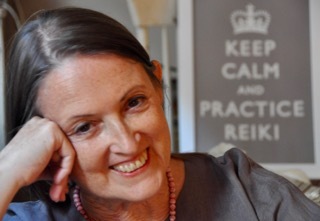 What will you learn in the Reiki & Medicine Intensive? The most critical factor for your success. Additionally, we discuss a 4-phase sample proposal for integrating Reiki into conventional health care. You will learn how to collaborate with other healthcare professionals as colleagues from someone who has been doing that successfully for 20 years. For twenty years, I have been the foremost advocate for Medical Reiki, bridging the gap between timeless spiritual practice and contemporary medicine, and between lay Reiki practitioners and academic medical professionals. publishing in peer-reviewed medical journals. My vision is for Reiki practice to be recognized by the public and by medicine as a viable health-promoting practice for home and professional care. That will be accomplished by Reiki home practitioners like you becoming confident to speak openly to your doctors about your Reiki practice, and by Reiki professionals who can educate the public in clear language, and to collaborate effectively in with conventional healthcare professionals, including physicians, nurses, physical therapists, dentists, etc. Who should attend the Reiki & Medicine Intensive? Open-minded Reiki practitioners who want to develop a working collaboration in hospitals or offsite conventional care centers, or who want to receive referrals from doctors, nurse practitioners, and other licensed healthcare professionals. I’m sure you noticed the “open-minded” part, but I cannot over emphasize it. And I will add “open-hearted.” The Reiki community is diverse and we will be a diverse group of practitioners with varying approaches to practice. Those who are truly respectful and appreciative of different perspectives and who come with a collaborative attitude will get the greatest benefit from the intensive. Who should NOT attend the Reiki & Medicine Intensive? If you are not willing to take a second look at everything you think you know about Reiki and medicine, please don’t register. Understand how Reiki practice fits the conventional medical model. Understand why the spiritual aspect of Reiki is valuable in medicine, and how to discuss it. Make more informed personal healthcare choices. Responsibly guide your clients about how Reiki supports their medical care. Present Reiki practice effectively to critical thinkers from a spiritual and physiologic perspective. Interface effectively with conventional medical professionals. My goal in leading these intensives is to empower Reiki practitioners to effectively and respectfully integrate Reiki practice into any situation. To do that, you need to be fluent in the paradigms of conventional health care, natural healing, and spiritual practice. The intensive gives you that. But you also need to be willing to think through each situation as it arises. We will discuss strategies and concerns to watch for, on the Reiki side as well as the medical side. The challenges of integrating Reiki practice and conventional medicine cannot be solved by a paint-by-numbers approach. Are you willing to take responsibility for your success and well-being? If so, this intensive gives you proven strategies and perspective to create a truly integrated medical system, one in which health care starts with home care and patients are supported in their self-healing through every medical procedure and treatment. If that is a goal you can commit to, if you are willing to rethink what you are doing and consider what tweaks would make you more effective in your health care relationships, whether personal or professional, please join me. This program has ended. Click here to be informed when other Reiki & Medicine Intensives are scheduled or email me about organizing an intensive in your area. Want to read more? These articles will help you see the difference the intensive can make for you. 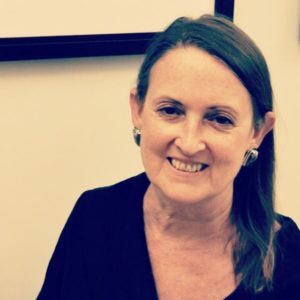 What the Heck Happened to My Body During Reiki in New York Magazine and Reiki’s Ambassador to Medicine by a former L.A. Times health journalist.